This watch is also known as: 13764169F149 , 137.641.69.F149 , 137 . 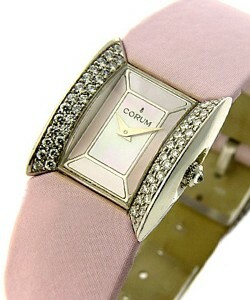 The Corum Butterfly watch features an endearing beauty that the butterfly lugs manifest. 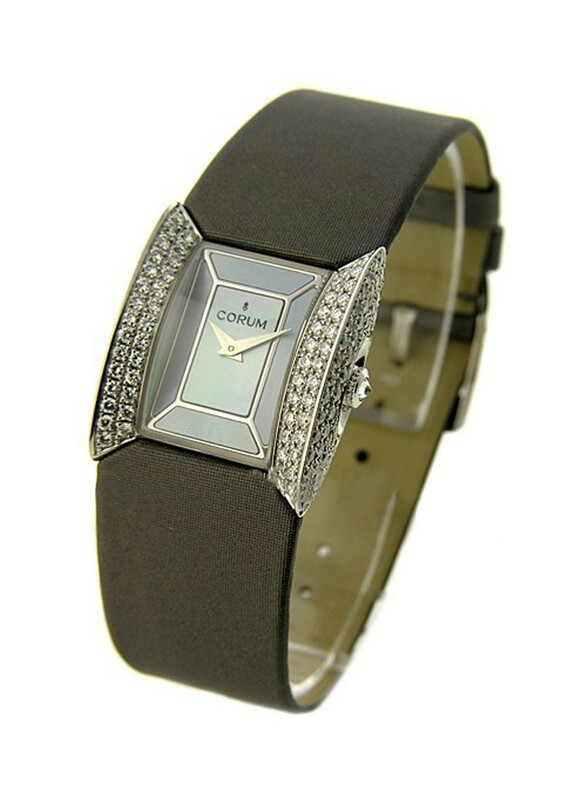 The watch gives a radiance that comes from every piece of diamond set on its case. 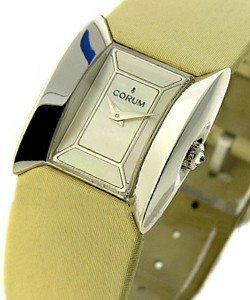 This Corum Butterfly watch Ref#137-641-69-F149 is made with 18KT White Gold case in 23mm x 26mm size just perfect to give attention to the Plum Mother of Pearl dial. It comes with a Grey satin strap with tang type buckle. This Corum Butterfly watch features the beauty and innovation that signifies the endless excellence that Corum have. It has 4 row diamond bezel, and diamond on crown. This timepiece protects its beauty with a scratch resistant sapphire crystal. The unending beauty of this Corum Butterfly watch will surely live a timeless mark.